Where to begin in studying philosophy? This thread over at Leiter Reports, back in August 2018, was a useful discussion of the question. Commenters chewed over what might be a good syllabus or reading list for a law professor with a budding interest in philosophy. Some comments and suggestions didn't appeal to me, but some suggestions of philosophy books and other materials seemed very useful. Even for someone who has studied philosophy quite deeply, it's interesting to see a range of perspectives on what might count as the basics. It's also a bit frustrating to see how some people with undoubted expertise consider stuff to be central that I would be inclined to think rather peripheral and esoteric, while other similarly expert people evidently have different conceptions again of what philosophy is all about. Still, in a world with ample time it would all be interesting to track down. I'm sure I'd be a much more rounded philosopher and thinker if I read (and genuinely considered) more of the material that I just described as peripheral and esoteric. Jerry Coyne has published this useful piece at The Conversation, briefly setting out his case against the religion-science accommodationist position (i.e. the position that religion and science are, in some sense, straightforwardly compatible). He followed up with a post about this on his Why Evolution is True site. As a reminder, I sometimes write for The Conversation, via its Australian set-up (my profile is here). In January 2016, I wrote a piece for The Conversation on this exact topic, entitled "Against accommodationism: How science undermines religion." This piece responded to (and acted as a sort of review of) Jerry's excellent book Faith vs Fact: Why Science and Religion are Incompatible. You can, perhaps, detect subtle differences in our approaches, but we're on the same wavelength here. I've long argued that science has a tendency - logically, psychologically, and historically - to undermine religion, which I understand in much the same way as the Canadian philosopher Charles Taylor. It is also true that the humanities have tended to undermine religion's authority as they've explored the historical provenance of particular religions, not least Christianity. As for what counts as a religion, I think "religion" is inevitably a fuzzy concept. The boundaries between religions, political ideologies, and various other worldviews are not sharp. Some ideologies show many of the trappings of religion. Indeed, they show many of the worst features of monotheistic religions in particular: their identification of orthodoxies and heresies; their reverence for certain figures and demonization of others; the psychological transformations they can produce, often leading to zealotry; and their intolerance of dissent. Nonetheless, we can describe the phenomenon of religion in a way that tracks most people's intuitions. 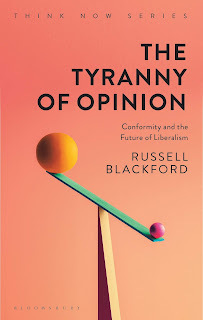 See, for example, my discussion of religion on pages 5-10 of Freedom of Religion and the Secular State and the short discussion of religion and ideology on pages 101-103 of The Tyranny of Opinion: Conformity and the Future of Liberalism. In The Tyranny of Opinion, I describe religions in this way (p. 101): "Religions are (very roughly) systems of belief and practice that include otherworldly or supernatural elements of some kind: they involve belief in something that transcends the observable world or eludes empirical inquiry. Further, religions teach that there is an otherworldly dimension to human lives, and that this has at least something to do with how we ought to act in this world. Religions almost always involve rituals of some sort, and they typically include moral norms that are given a supernatural or otherworldly rationalization." In recent years, I've become slightly less concerned about the claims of religion - and about religion's threats to our liberties - as I've become more focused on political ideologies and their dangers. Nonetheless, debates about religion and its value, and about its intellectual and moral authority, will not go away any time soon. To be sure religion itself is slowly fading in Western countries (and some others), as Jerry notes in his post at Why Evolution is True, but my fear is that many people who are turning away from religious faith are turning to other belief systems that offer comfort and the sense of meaning that comes with claims to esoteric knowledge, while showing authoritarian tendencies. That, in fact, seems to be a danger with any belief system except the most open-ended and individualistic. Even if religion eventually goes away, as is clearly happening in Western and Northern Europe especially, there won't be an end to the struggle against authoritarian systems of belief. I've done an interview on the Wikizilla site (a site devoted to giant movie monsters, including Kong) about my 2005 novel Kong Reborn. We get into lots of interesting issues about the 1933 King Kong movie, Skull Island, the big gorilla, the characters in the movie and my novel, the craft of writing this sort of fiction, etc. Check it out! I now have two author's copies (with more to come) of my new book, The Tyranny of Opinion: Conformity and the Future of Liberalism. It's nice to reach this point, and I can report that it's a beautifully packaged book. It looks and feels lovely, and the format is very easy to read. Other people will, of course, have to make up their own minds about the quality of the arguments. 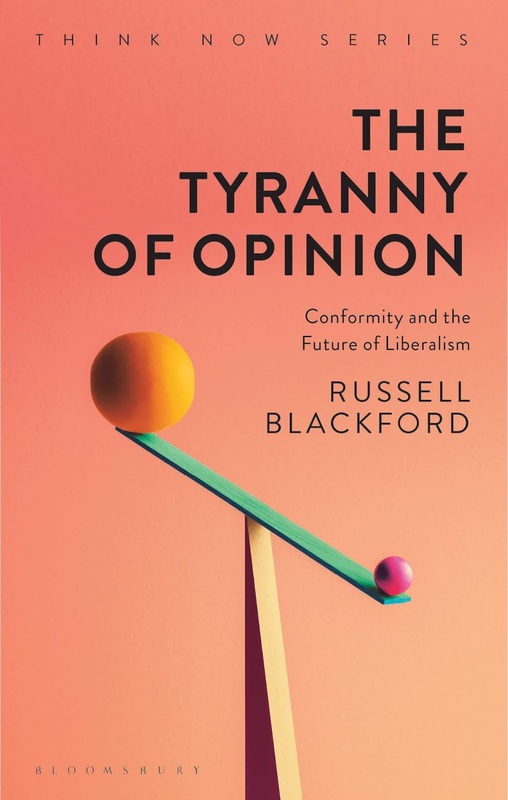 The official publication date of The Tyranny of Opinion is 18 October 2018. From that point, it should be shipping from suppliers such as Amazon (and the Kindle edition should be available for purchase). By then or shortly thereafter, it should also be in bookshops. To make sure it's ordered in by your local bookshop, you can always draw it to their attention.